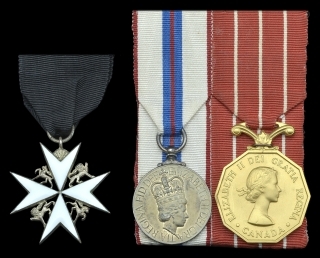 Home » Gallantry/Decorations/Lifesaving » The Royal Humane Society medal awarded to Herrick Duggan- Canada’s Sport, Finance and Industry Leader. 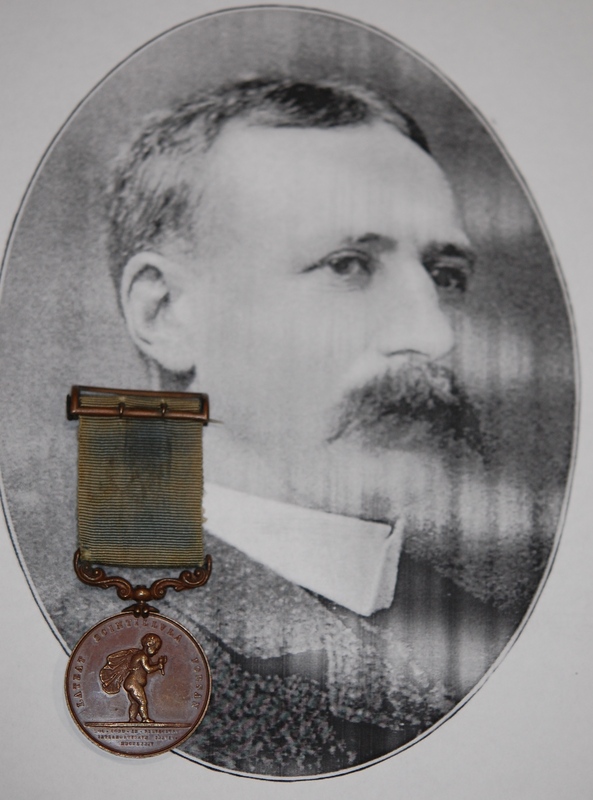 Founder of the Toronto Yacht Club and the Duggan medal! One of the grand old men of Canadian engineering and a leading figure in Canada’s sport, finance and industry, Herrick Duggan died instantly of injuries received in a three-car accident near St. Jerome Quebec. He was struck by his own automobile, from which he had alighted. A truck, struck by a third car, crashed into Mr. Duggan’s auto and hurled it against him. The impact broke his neck. He had survived a fracture of the cervical vertebrae in 1935, when an automobile in which he was being driven, skidded into a tree. The same driver, his trusted family chauffeur, had helped Mr. Duggan out of the car yesterday a few minutes before this crash occurred. Born in Toronto September 6th, 1862, George Herrick Duggan was the son of John Duggan, Queen’s Counsel, and Amelia Tulloh Duggan. The family home was in Windsor Street, then a private street, a fashionable area overlooking the harbour and enclosed by iron gates. The Duggans came to York shortly after Simcoe founded it and had an estate up Yonge St below Thornhill, with a mill and salmon fishery, ere the 18th century ended. Mr. Duggan’s profession took him away from his native Toronto, the first call being the survey parties for the projected Canadian Pacific Railway, and his residence was for a time in Sydney, Cape Breton in the steel industry and later in Montreal. Always interested in sailing, he was one of the pioneers of sailing on Toronto island. Later he became one of the founders of the Lake Yacht Racing Association, the Toronto Yacht Club and the Royal St. Lawrence. Designer and builder of over one hundred yachts, Mr. Duggan was the winner of the coveted Seawanhaka Cup and defended the trophy on nine different occasions. A graduate of Upper Canada College and the University of Toronto, Mr. Duggan was as distinguished in the engineering profession and in Canadian industry. Perhaps his most distinguished work was the designing of the mighty Quebec bridge spanning the St. Lawrence, which he was called to plan after two American attempts had failed, the almost completed bridge twice collapsing the great loss of life. Mr. Duggan’s plan, a masterpiece of engineering foresight, had the final steps of construction worked out to the very hour of the tide on the day of the completion and the central span went into place on the exact minute called for, three years after the master plan had been drawn up. In 1883, he joined the Canadian Pacific Railway and worked for three years in building up its western development. A past member of the council of Britain’s Institution of Civil Engineers, a member of the Engineering institute of Canada, of the American Society of Civil Engineers and the Canadian Mining Institution. He held two LLD degrees from Queen’s and McGill and a DSc at Toronto. 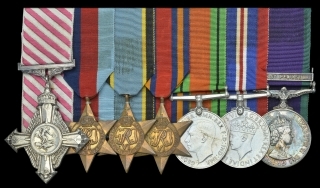 President of the Dominion Bridge Co, Dominion Engineering Word, Robb Engineering Works, Dominion Welding Engineering Co, Structural Steel Co. Chas Walmsley and Dominion Hoist and Shovel Co.
Mr. Duggan was the father of two sons, both of whom he lost in the First Great War, Lt. H.S. 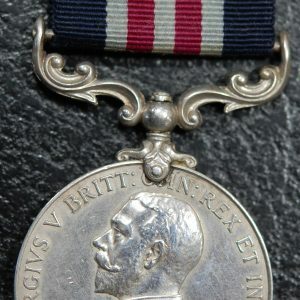 Duggan, RE being killed in action in 1915 and Major K.L. Duggan in 1917. His daughter of the wife of Senator of Hon. Adrian Khantchbull-Hugessen. 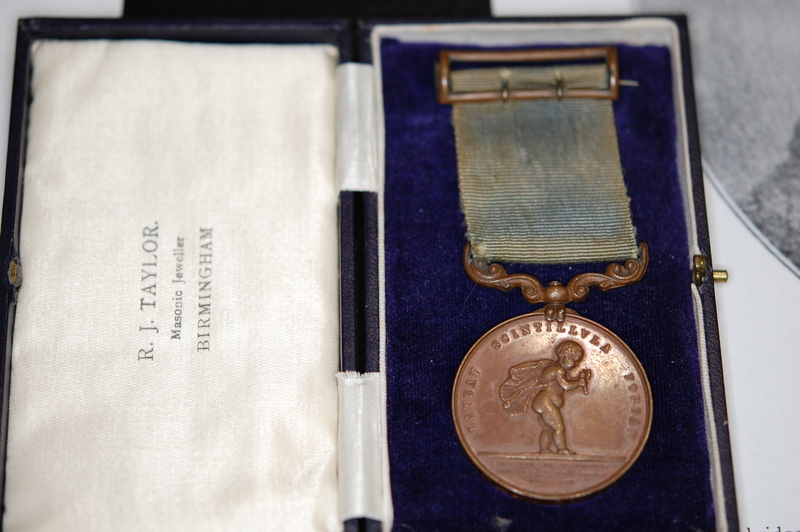 He held the Royal Humane Society medal for saving life on Lake St. Louis, awarded in 1893. Very fine.